It’s August and Maasak is sipping coffee with his neighbor, Qalu. They are reciting the seasonal cycle of wild foods that has sustained their people for thousands of years. Qalu’s grandson, Vince, comes in and out of the room readying himself before they all head out for a day of fishing on the Noatak river. About 50 miles north of Kotzebue and 70 miles north of the Arctic Circle, the village of Noatak sits shouldered against the vast inland reaches of the Noatak River. It is a strategic spot for year-round subsistence harvest. Maasak goes on, “Through June, we do a lot of bird hunting and egg gathering. 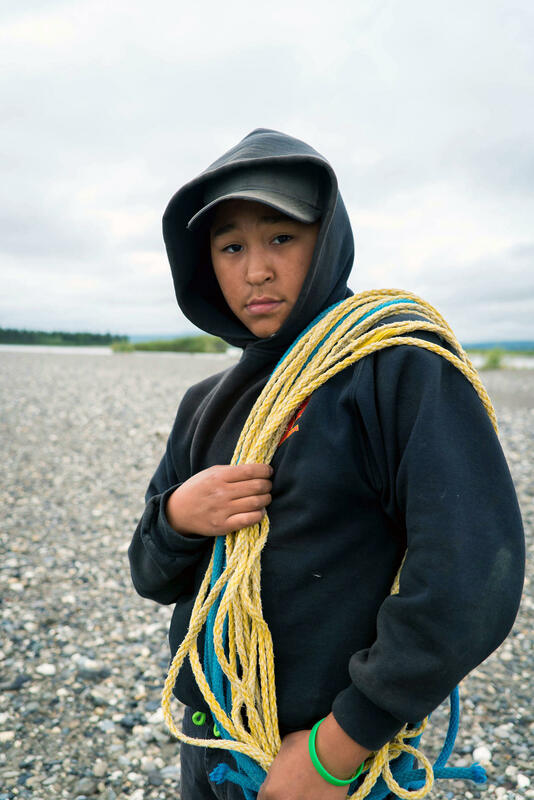 Once the river gets lower, we’ll fish for Dolly Varden, trout, white fish, and pike through July, waiting on salmon.” Maasak splits his time working as an environmental technician at Red Dog Mine, 35 miles north of Noatak, and hunting and fishing during his time off between work hitches. 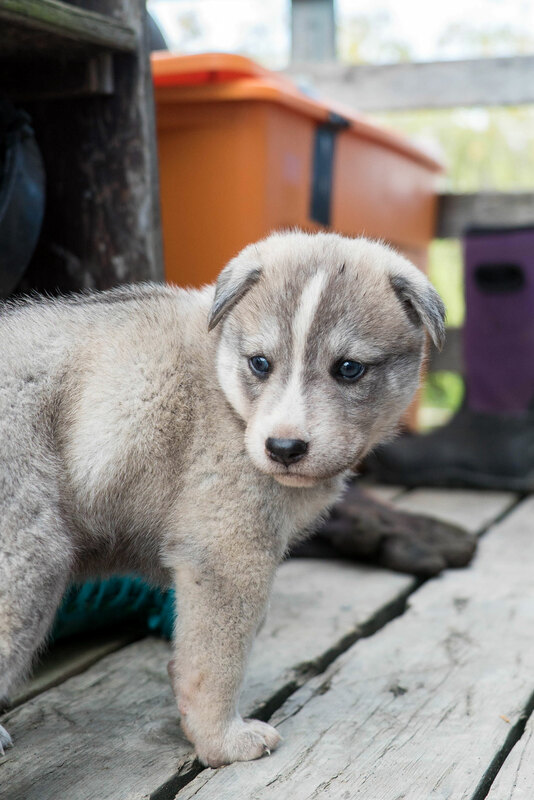 Through the streaming light of the window, Noatak is waking, with the bark of dogs and the hum of four-wheelers darting between houses. Beneath the din of the new day, the subtle churn of the river beckons from beyond alder-laden bluffs. It isn’t long before they sit with empty mugs and a contented resolve to begin. The cooler is packed, each thermos is topped with coffee, and they drive their fishing gear down to the boat. The river is a deep grey, swollen from persistent rains that lap high on the shrubs of the banks. The lush green of the shore zips by on the boat, compressed by the moody tones of clouds and water. The light is ambiguous, and, consequentially, so is the hour of the day. This is Noatak time. At a fork in the river, Maasak swiftly pulls the steering wheel, swinging the skiff in a wide arc up another river arm towards a preferred fishing spot. He noses the bow into the greenery as Qalu and Whittier move to tie the net to a shoreline branch and feed it into the waiting current. 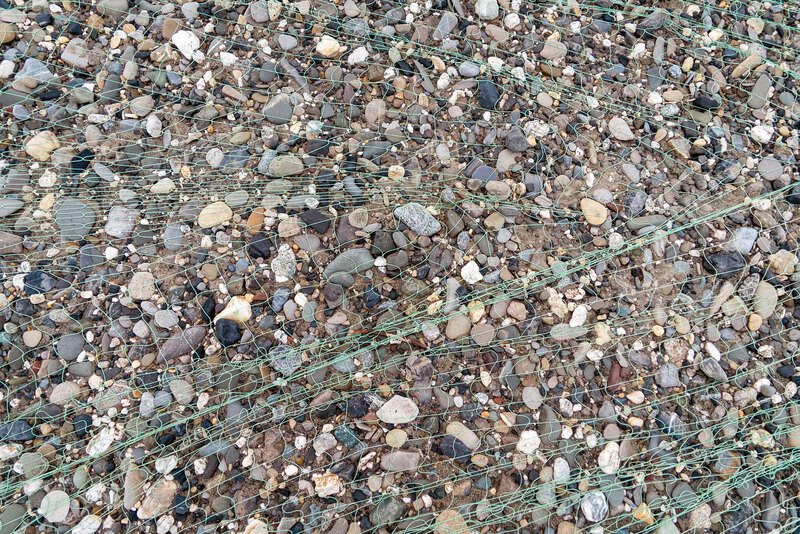 The net disappears into the depths with its corks floating above. Maasak pulls the skiff away to set up their fish-processing base on a pebble beach nearby. They land and Qalu and Vince hop out of the boat in search of a downed log to perch as a fish drying rack. 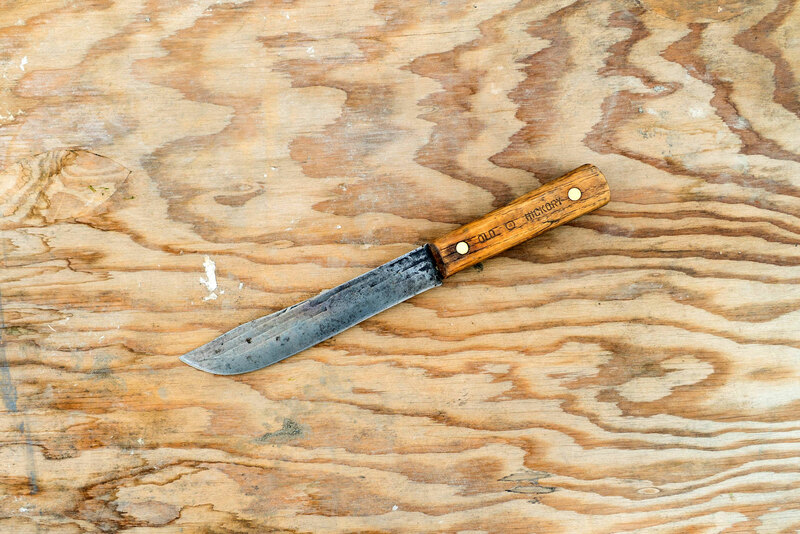 The smooth, flat stones shuffle and clack under their footsteps rhyming with the thud of Maasak’s hatchet hewing branch support legs. Once they’ve raised the lean-to drying rack, they hop back into the skiff to check the net. 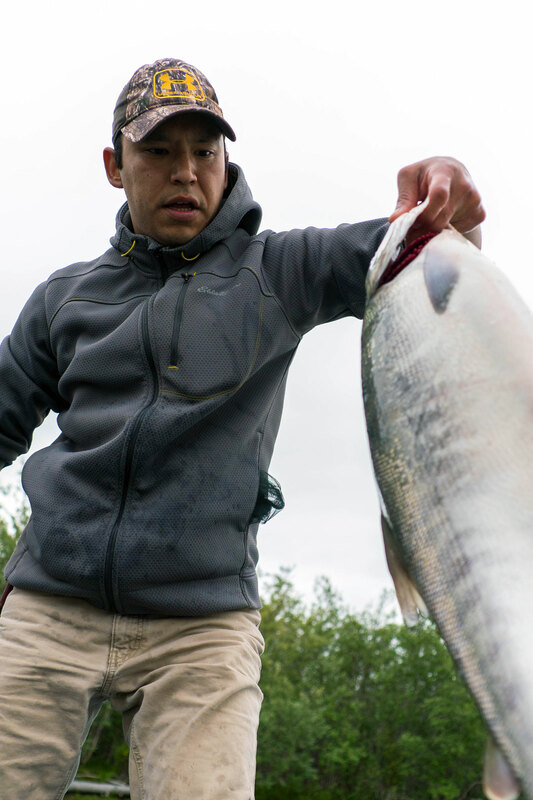 To say that Maasak, Qalu, Vince and the rest of Noatak just lead salmon lives would be a disservice to the tapestry of abundance they weave each year. Generation after generation, their lives evolve with the seasons. The boat erupts in joy as they come back around the bend. “Ahh!” Maasak says as the other two holler, “Yahoo! Yeehaww!” The corks atop the net dip and dive with the force of the fish beneath. Maasak kills the motor as he pulls up to the scene. The three of them pull the fish out of the net from left to right, filling their tote and resetting the net before heading back to the beach. 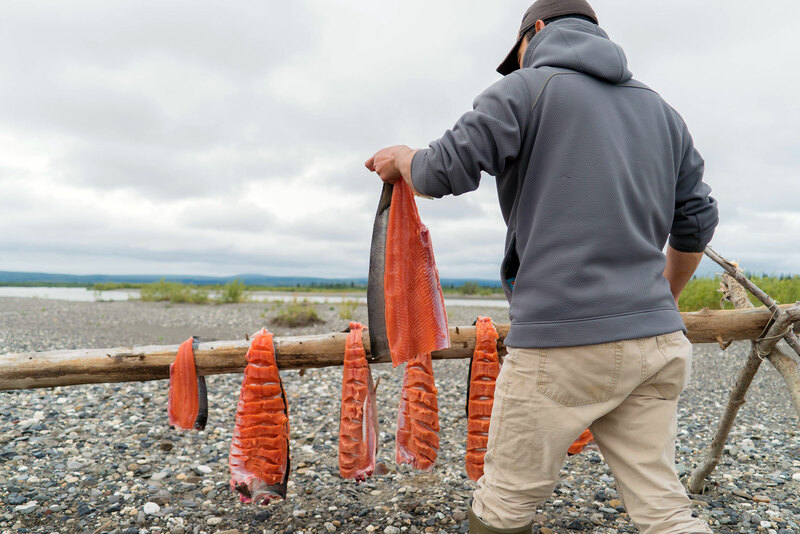 On the beach, they begin their methodic cutting with perpendicular cuts across the salmon meat, draping the fish over the drying log, and as time often allows, pausing for a few moments to enjoy a coffee break and share stories. Qalu and Maasak go on to swap tales from different hunts. 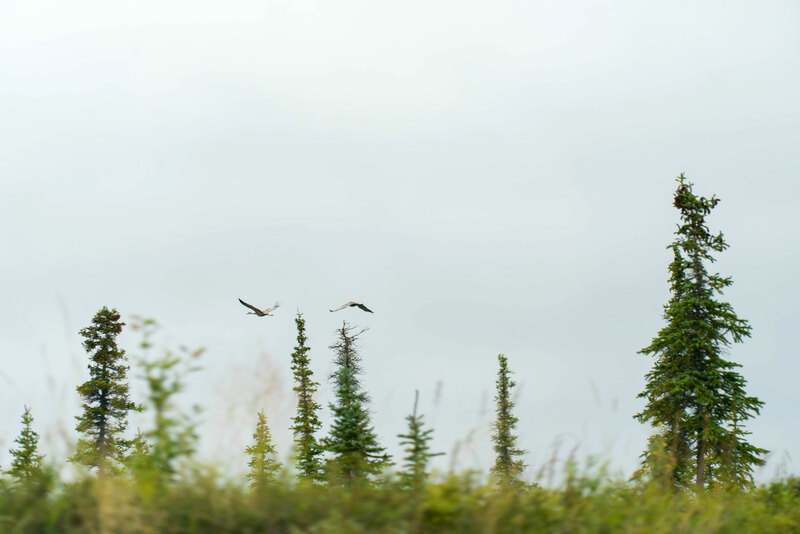 “In August, moose hunting starts.” Maasak tells of the time a moose was too big for the group to carry in one trip. 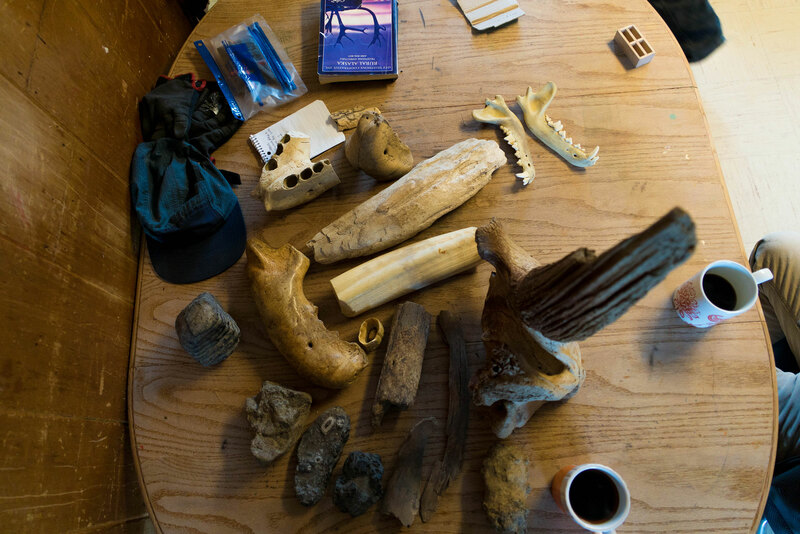 “September is our month for hunting caribou.” “February too,” Qalu adds. 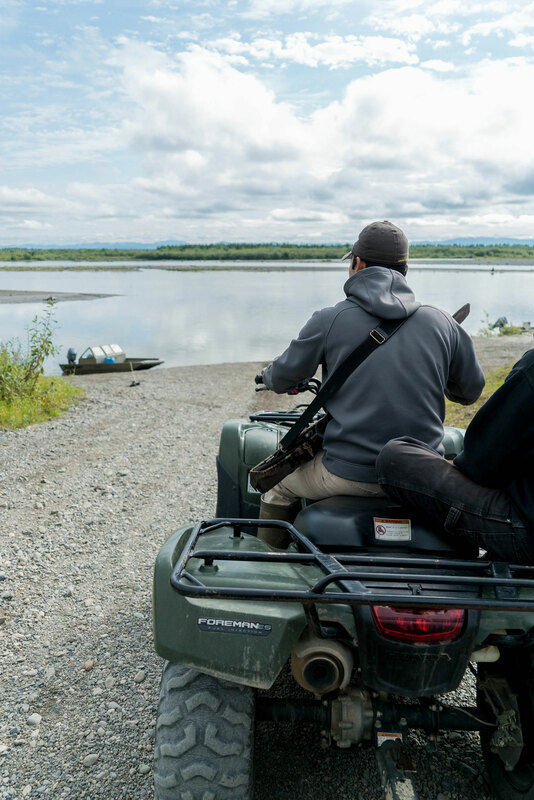 They share how the first caribou of the season should always pass through the hunting grounds unharmed, not only as a sign of respect, but also so the rest of the herd will migrate through the same corridor. 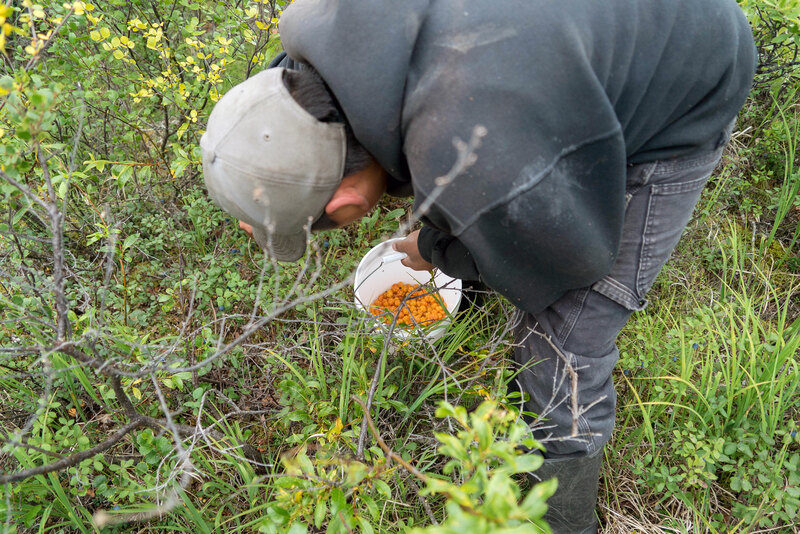 To say that Maasak, Qalu, Vince and the rest of Noatak just lead salmon lives would be a disservice to the tapestry of abundance they weave each year. Generation after generation, their lives evolve with the seasons as they live the trout life and the waterfowl life. The pike life and the rabbit life. The moose life and the berry life. The caribou life and many more. 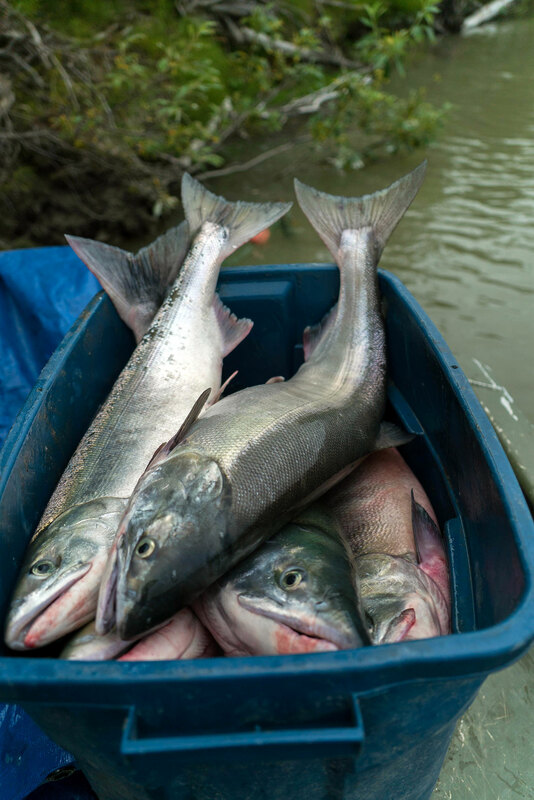 In the height of summer, they find themselves living the Salmon Life—a mere piece of these lives that are fully immersed in a grander seasonal cycle. 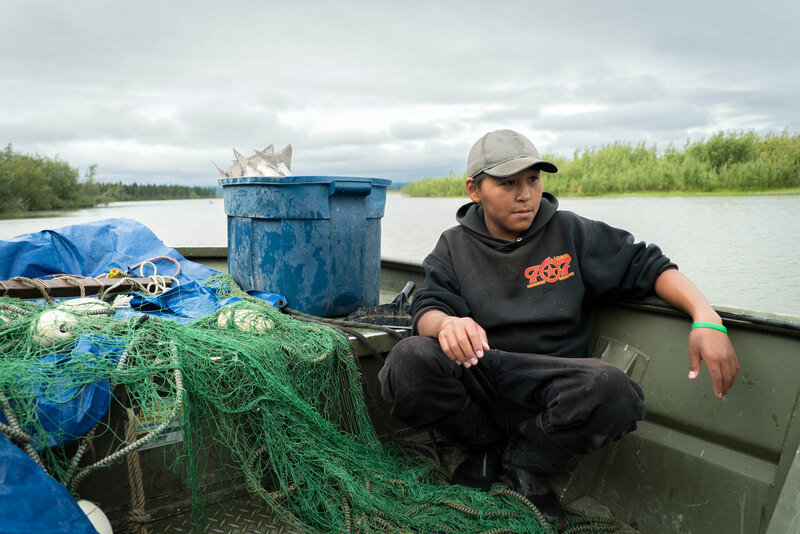 The day goes on: they harvest fish, cut them, hang them, share stories, and repeat. They punctuate the stories with emphatic “ahs” and “mhmms.” Their oral tradition is the melody that carries knowledge through the generations. Today Vince listens intently. All along the river banks, as Maasak searches for a place to anchor and clamor up to the tundra, there are formidably eroded embankments. Maasak notes that it is thawing permafrost made visible—another earnest truth. 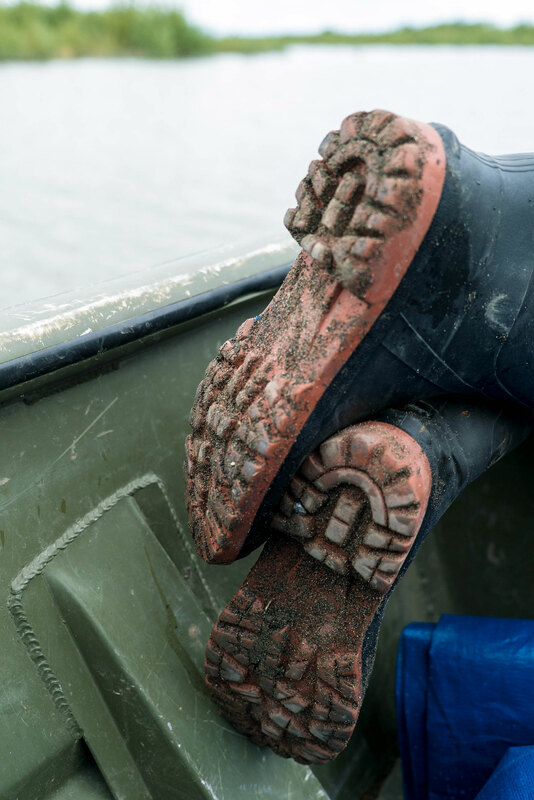 With changes in the climate, the embankments have thawed, lost their integrity, and have been sluffing off into the water at a considerable rate. 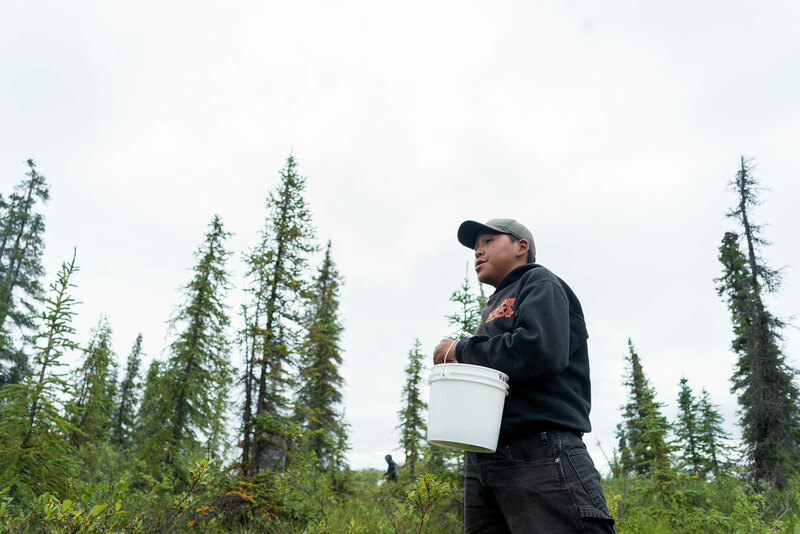 Maasak also notes climate-related change, “One year there were forest fires up north and it changed the entire Caribou migration.” The changes are considerable, but Maasak ensures that he is able to adapt. He plucks his way up the bank towards the berries with ease. The tundra unfurls in an endless carpet of berry bushes as far as the eye can see. The group is giddy with buckets in hand. They spread out on the hunt for blueberries and cloud berries. Qalu calls out as blueberries plunk to the bottom of his bucket, “Better than store-bought!” They fan out further and further. Their buckets fill and fill again. The afternoon stretches into evening with the light of day streaking beneath the cloud cover. They munch joyously on their bounty of berries. “This is who we are now, as a people. After missionaries, there was not much left of our language, but subsistence is how we’ve sustained forever. Now, hunting and fishing is the biggest connection we have to our historical culture." With that, they pack into the skiff for a final time. A watch would say it is 11:30 pm when the anchor is pulled and Maasak points the skiff back upriver, but that’s irrelevant. What matters is that home is close, sleep will come, another morning will arrive, and a fresh pot of coffee will await what the next day brings.